There are 160 entries in the glossary. 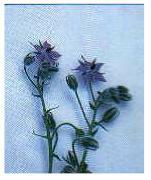 Annual A plant that lasts only one season, has to be sowed anew each year. Aphidius Aphidius is a small (2mm) black insects that lays it's eggs inside immature aphids, the developing larvae feed off the aphid eventually killing it. Available commercially as an aphid control. A relative of the thistle, the edible bud of which has many short bracts with fleshy bases. Completely unrelated to the Jerusalem Artichoke. It's common name tells you nothing about this plant; it doesn't come from anywhere near Jerusalem, it's actually a native of North America and nor is it related to the Globe Artichoke, it's actually a member of the sunflower family. 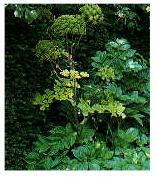 It's grown for it's edible tubers which can be cooked in the same ways as potatoes, cause flatulence in some people. A member of the same family as potatoes, tomatos and deadly nightshade, known as egg plant in the US. Tricky to grow in the UK, but very good looking plants, try them if you like a challenge. Bare Root Trees & shrubs can be supplied either container grown (in a plastic pot usually) or bare root. Bare root plants are supplied in the dormant period usually between November and March, they should be planted as soon as possible after receipt. Usually cheaper and easier to establish than container grown plants. 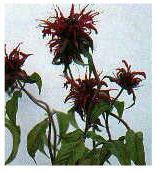 Also known as Bee Balm, bergamot is a hardy perennial herb, the leaves are used in herbal teas and in salads, dried leaves can be added to pot-pourri. Biennial Bearing Many fruits including apples, pears and plums can become prone to producing a bumper crop one year and hardly anything the next, this is usually due to deficiencies in culture, i.e. your feeding, watering and pruning regimes need to be looked at. Thinning of fruit and blossom may also be required. Biodynamics A system of gardening that has amongst its principles the belief that the moon, sun, stars and planets influence plants in regular rhythms, creating ideal days or periods, to sow, weed, and gather plants. Using the best day or time of day to perform various garden tasks can make a huge diference to the yields from your garden. Herbal and plant concotions unique to biodynamics are used to increase the vitality of soil and compost. Based around the work of Rudolf Steiner, the movement is increasing in popularity and is often seen as the next step on from organic gardening. Bonemeal Bonemeal fertiliser is basically crunched up sterilised bones, a slow release source of phosphate which promotes strong root growth. Useful when planting trees and shrubs.